This article will provide you with a step-by-step guide for configuring your 3CX phone system with Telnyx phone service using Registration (user/pass). Here is the article for the Old 3cx version for User/Pass Authentication Here. 5. This will open the trunk configuration window. Tabs : General, DIDs, Caller ID, Options, Inbound Parameters & Outbound Parameters. 7. 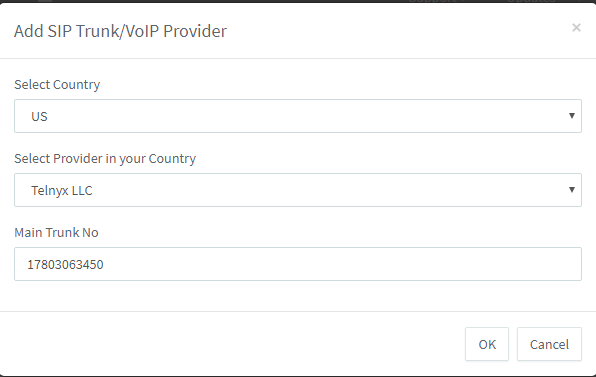 Select the "Outbound Parameters" tab and make the following changes For "Contact : User Part" in the SIP Field column,select "Custom Field" To allow private calling - "From: Display Name" and "From : User Part", select "Custom Field" but leave the Custom values blank. 8. After entering all the details please click on “OK” which is on the top. If all the fields are entered correctly a registration packet will be sent from your3cx pbx system to Telnyx portal (for that specific connection).